1. V shape, the angular distance is adjustable. 2. Double driving force, suit sheep of different size. 3. The conveying part is made of 4mm nylon. 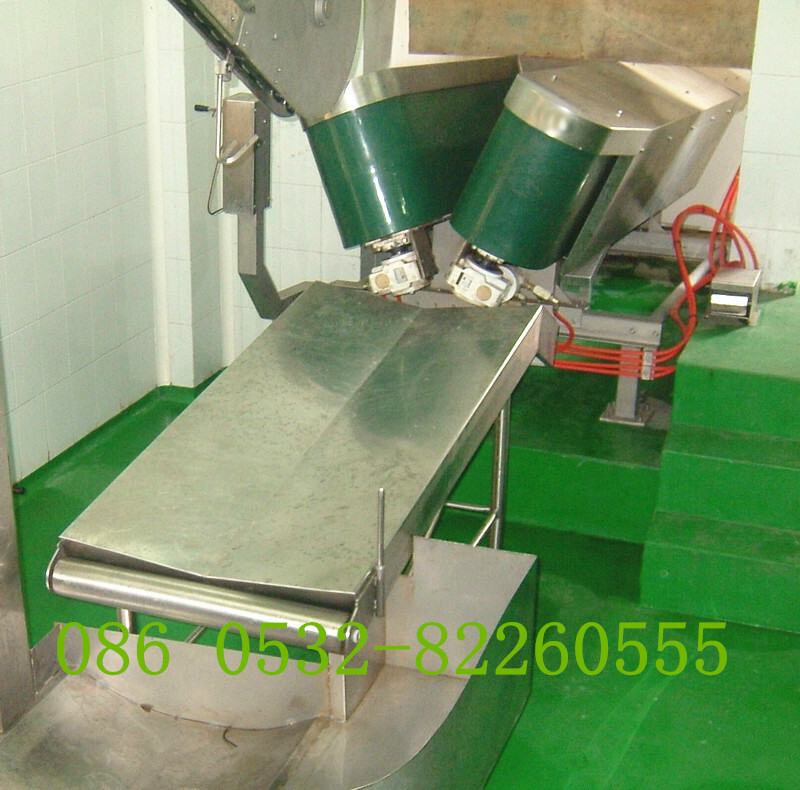 V-shape conveyor, a kind of slaughter equipment, applied to procedure of manual electric stunning, mainly used to convey sheep and goats. ZBHT Slaughtering Machinery Co.,Ltd. manufacturing high-quality V-shape restrainning conveyor and supply OEM, ODM service according to your personal requirement. Our V-shape restrainning conveyor and other Sheep Slaughtering Equipment is not only good in quality but also competitive in price, welcome to inquiry us about the details of V-shape restrainning conveyor or other slaughtering machine products and accessory equipment.